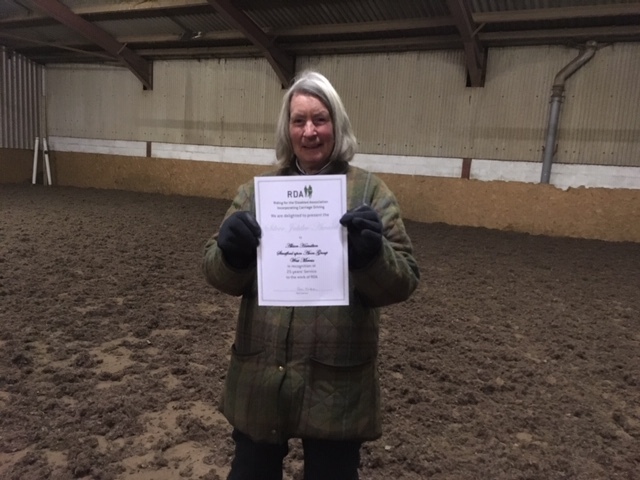 Many congratulations to Alison Hamilton who was presented a Silver Jubilee award certificate and badge for 25 years of volunteering service to RDA. Thank you so much Alison from all of us at ‘Team Stratford’ for all your dedication and enthusiasm . Next post: Pancakes at the ready!